To the students: Spoil your mum this mothers day with a gift from our pop up shop. 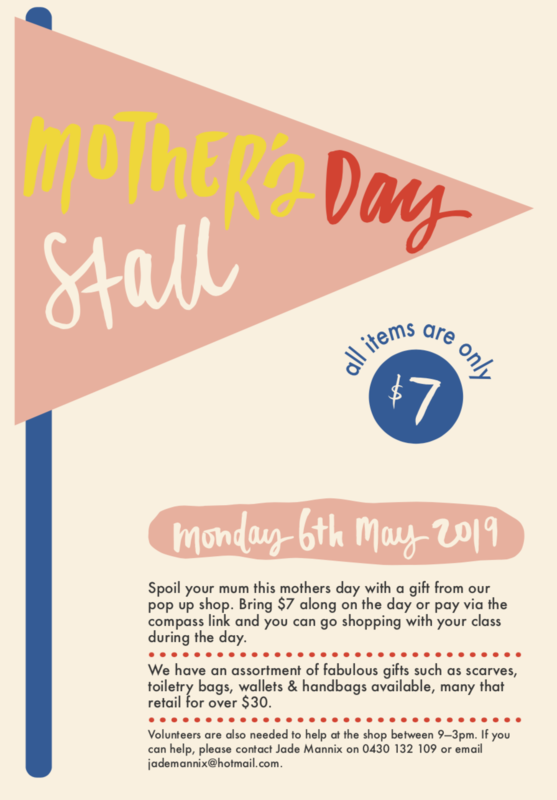 Bring $7 along on the day or pay via the compass link and you can go shopping with your class during the day. We have an assortment of fabulous gifts such as scarves, toiletry bags, wallets & handbags available, many that retail for over $30.